There is one wine region that is arguably the most famous in all of Italy: Tuscany. And there is one very old appellation in Tuscany that is arguably the most recognized: Chianti. WTOP wine expert Scott Greenberg takes us on a tour of Chianti Classico wines. WASHINGTON — A few weeks ago, I covered several Italian wine regions that I had the pleasure of visiting during a recent tour of the Italian coastline. 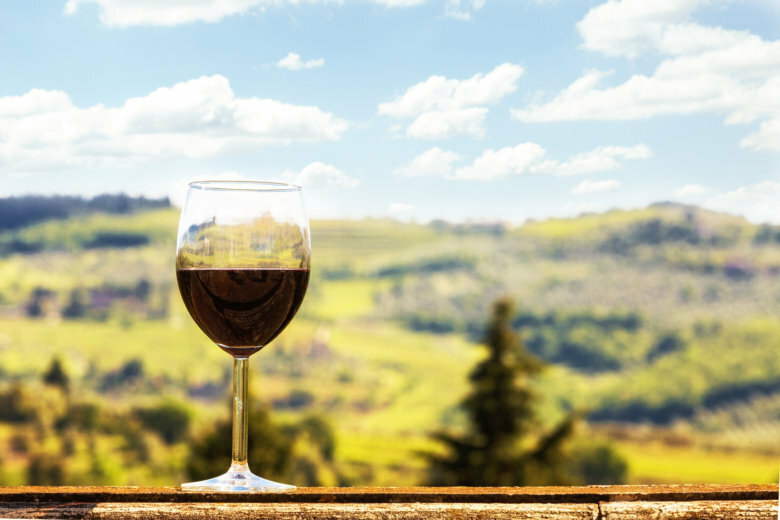 Many of Italy’s 20 recognized wine regions are relatively unknown, so it was an educational opportunity to experience wines from areas in the country that we often don’t see in America. But there is one wine region that is arguably the most famous in all of Italy: Tuscany. And there is one very old appellation in Tuscany that is arguably the most recognized: Chianti. At 300-plus years, Chianti is the oldest designated wine region in Italy. The area now known as “Chianti Classico” was determined in 1716 by Cosimo III de’ Medici, the Grand Duke of Tuscany, who established the first official boundaries of the Chianti region in what is today part of the Chianti Classico DOCG. The Chianti Classico region stretches between Florence and Siena and includes 14 municipalities — among them Castellina in Chianti, Gaiole in Chianti and Radda in Chianti, and part of the territory of Castelnuovo Berardenga and Poggibonsi in the province of Siena. How did part of the Tuscan region end up in Siena? Funny you should ask: A little old-fashioned gumption and a hungry rooster played a key role in how the region was divvied up. Legend has it that in the early 13th century, Florence and Siena put an end to their fight over the Chianti region. It was decided that two knights would depart from Florence and from Siena at the same time, and wherever they met would be the border between Florence and Siena. The riders would depart at dawn, when the rooster sang. However, the Florentines got a black rooster and kept it for a few days in a box with no food. On the day of the race, the hungry rooster was taken out of the box and began to crow much earlier than dawn, so the Florentine knight left — legitimately, according to the rooster rule — much earlier that the Knight from Siena. By the time the two knights met up, the Florentine Knight was only 20 km from Siena walls. Since then, the black rooster has been the symbol of Chianti and the Chianti Classico seal is a black rooster (or gallo nero, in Italian) on a gold background. Today, this famous wine region is still producing some of the best-known wines in Italy, and is controlled by the strict guidelines of the the Denominazione di origine controllata (DOC) and Denominazione di Origine Controllata e Garantita (DOCG). Most Chianti falls under two major designations of Chianti DOCG, which includes basic level Chianti and Chianti Classico DOCG. It is very important to distinguish between Chianti and Chianti Classico, since there are two distinct and separate DOCGs, with two different sets of production regulations, production zones and consortiums for the protection of the product. The latter has to follow very specific rules. For example, a Chianti Classico may be blended with other native and international varietals, but it must contain at least 80 percent Sangiovese, and white grape varietals are not allowed. And even beyond Chianti Classico is Chianti Classico Reserva, where only the best Sangiovese grapes are used to produce Chianti Classico Riserva. These wines require a minimum maturation of 24 months, including three months of bottle aging, before they are released for sale to the public. I recently participated in a tasting organized by the Chianti Classico Consortium, where I learned that its territory is defined by Florence to the north and Siena to the south, both acting as “capitals” of the region. In addition, it’s fascinating that two-thirds of the territory is covered by forests of conifers, oak, chestnut, and pine trees, not vineyards. But in the vineyard, it is the soil, rich in stony material, that really makes the region so remarkable and unique.